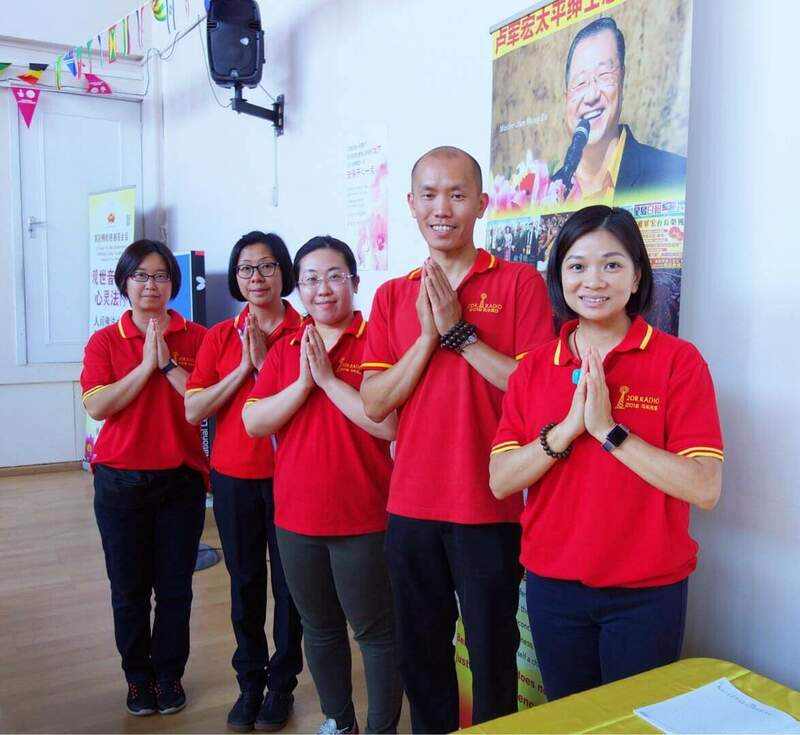 On July 15, 2018, the UK Guan Yin Citta Dharma Door Buddhist Charity Foundation successfully held a Free Vegetarian Tasting Event at Islington Chinese Centre in North London. It is estimated that over 160 Buddhist friends attended this event. July 15, 2018 is also the Chinese Lunar Calendar June 3, which was the Holy Birthday of Wei Tuo Bodhisattva, the Great Dharma Guardian to guide the teachings of Buddhism. Spreading more love, kindness and compassion into the world on this special day made the event incredibly meaningful. Master Jun Hong Lu is the Chairman of the Australia Oriental Media Buddhist Charity Association (AOMB). He has been dedicated to promoting Buddhism, vegetarianism, and cohesive multicultural communities for the past 20 years. Meanwhile, Master Lu is also the founder of the Buddhist practice, Guan Yin Citta Dharma Door, with 10 million followers around the world. The UK Guan Yin Citta Dharma Door Buddhist Charity Foundation is an affiliated organization of Australia Oriental Media Buddhist Charity Association (AOMB). It has been adheres to the core values of Mahayana Buddhism, such as compassion, wisdom, as well as leading all sentient beings to the liberation from suffering. 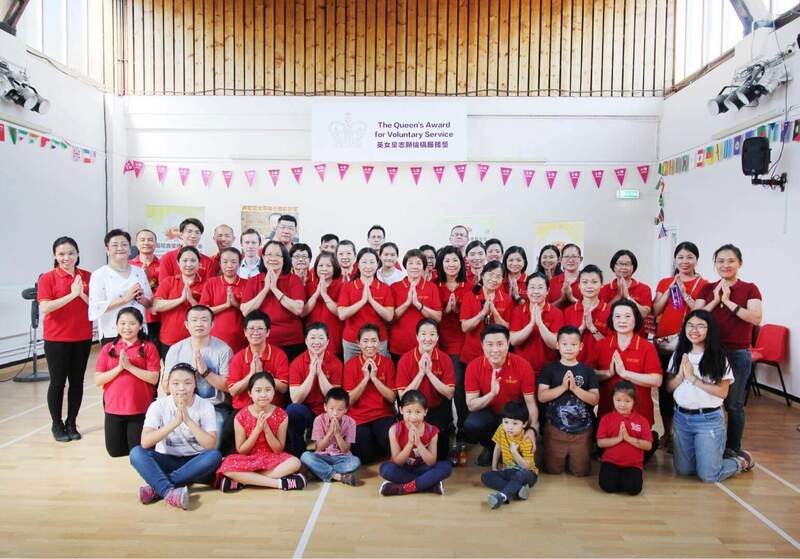 The UK Guan Yin Citta also deeply involved in the community development, advocating for Vegetarianism, low-carbon life, and environmental protection. After the video watching, two Buddhist friends shared their heartfelt stories about how their lives changed by performing the “Three Golden Practice” from Guan Yin Citta Dharma Door, including making vows, reciting Buddhist scriptures, and making life liberations. One of the Western Buddhist friends, named Steve Walker, said, “Practicing Buddhism has helped me cope better with life’s obstacles and have a more positive outlook. Especially earlier this year when my mother passed away, I was strong enough to help my family get through a very difficult and stressful time. Following the teachings of Master Lu and his direct modern approach has made me a better, more positive person. I am deeply grateful to the selfless and honorable Master Jun Hong Lu for his dedication in preaching the Dharma and his blessings. ” Another Chinese Buddhist friend shared how he recovered from lymphatic cancer by making vows, performing recitations and life liberations. All these stories with no exceptions deeply touched the heart of every Buddha friend present. They are the testimonies of the great compassion of Guan Yin Bodhisattva, the miracle of self-awakening, and the power of Dharma. Another highlight of this event is the delicious vegetarian food. 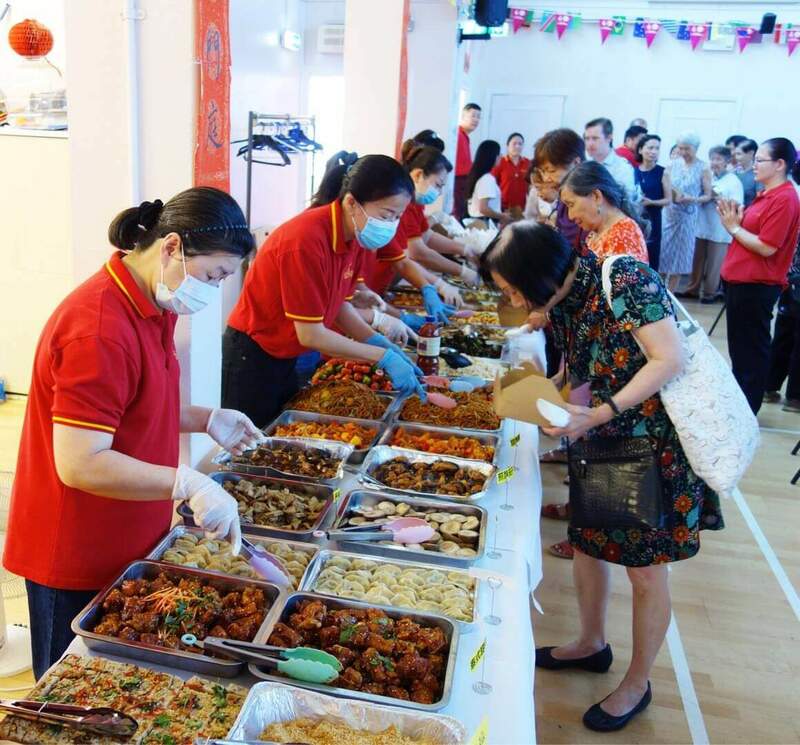 Many volunteers poured lots of hearts and souls into the preparation work and then presented the diversified dishes, including soups, salads, appetizers, and entrees. After tasting the food, many attendees could not stop singing their praises. They were amazed at the good taste and the balanced nutrition of the meals. To be more environmental friendly, all the tableware items were made from eco-friendly materials. Most of them were biodegradable and had smaller carbon footprint on the surrounding environment. Some of the volunteers were bravely bore the heat and stood under the sun outside the entrances of train stations and subway stations to guide attendees, which left deep impressions on the guests and made them feel warm. 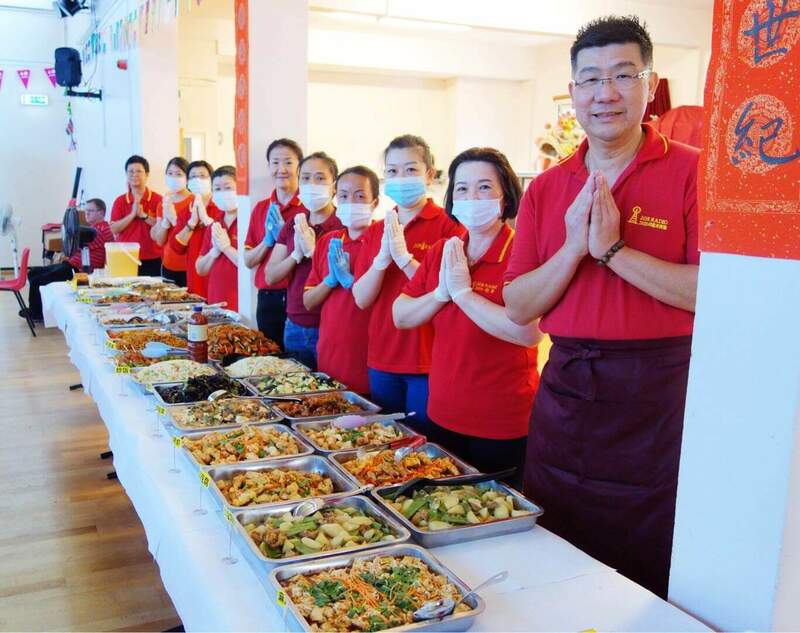 Even the head of the Islington Chinese Association, the landlord of the venue, was amazed at the volunteers of their high efficiency, selfless devotion, polite manner, modest attitude, and strong organizational skills. One of the VIP guests who is the chairman of another charity organization was also convinced by the excellent performances of the volunteers. He kindly invited the UK Guan Yin Citta to join their future activities in the propagation of Vegetarianism and Buddhism. The event was quite successful. Everyone was full of joy and delighted by the fact that lots of Buddhist books and materials were handed out quickly in a short time. They were all distributed for free. Many guests were crowded at the Distribution Center to ask questions about how to start the Buddhist practice. They showed tremendous interests in the Guan Yin Citta Dharma Door and deep respect to Master Jun Hong Lu. Everyone is looking forward to the next gathering on July 31, 2018 to celebrate Guan Yin Bodhisattva’s Enlightenment Day. The event will be held at Guan Yin Hall in UK Guan Yin Citta Practice Center, Units 5-6, 8 Lyon Way, Greenford, London, from 13:00pm to 17:00 pm.